The School has established a Financial Assistance program to support families with the cost of tuition, fees, and services associated with an independent school education. More information about the School’s Financial Assistance program can be found in the guide "Affording JTD: A Guide to Financial Assistance for Current and Prospective Families," which can be downloaded by clicking on the red button to the right. If a family would like to request financial assistance, please check the appropriate box and enter the waiver code on the application for admission. You may contact the Admissions Office to get the waiver code. The admissions application fee of $125 will be waived. The school utilizes "FAST" (Financial Aid for School Tuition) which is sponsored by Independent School Management (ISM) to help determine awards for financial assistance applicants. The School requires parents to complete the online FAST application and the supplemental budget worksheet each year that assistance is requested. 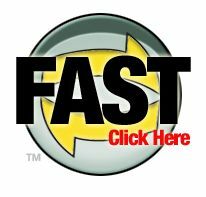 Once FAST receives the required information from parents, it verifies the applicant's information and determines the suggested financial assistance award based on the submitted data and documentation. The School, through a committee, then reviews the application, the FAST recommendation and determines the financial assistance award. In the case of divorced or separated parents, both parents must submit an application via FAST. Until the School's committee has received the complete FAST application and the supporting documentation, it will be unable to process a family’s request for financial assistance. Please understand that once available funds for the upcoming year have been allocated, late or incomplete requests for financial assistance may not be considered. All requested materials must be submitted to FAST no later by the due dates below to be considered for financial assistance. Please click on the FAST logo in the lower right-hand corner of this page to begin the process. If you have questions concerning this process, please contact Steven Prothro, Director of Finance & Operations.